OBJECT again to the removal of the Friar Gate cycle lane as part of Derby’s Clean Air Strategy. The cycle lane is a cycle lane as well as a bus lane! The cycle lane may be “very short” but it is a crucial safety element on this piece of road for cyclists. Size isn’t everything! Is it alright to have dead or injured cyclists so long as they are confident ones? They are correct it is a “diversion” but good cycle routes follow continuous and direct routes, not diversions. 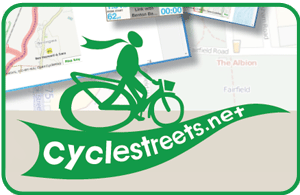 DfT standards say that cycle routes should be direct and continuous. It only runs for 1/3 of the length of Friar Gate. They say there has been considerable engagement with local cycling groups, but omit to say that Derby Cycling Group emphatically opposes the removal of the cycle lane. The Derby City Council Full Business Case does not mention the removal of this cycle lane and does not mention the many cycling-supportive responses in the consultation documents (refer to the article “Friar Gate Cycle Lanes Misrepresented by Derby City Council”). “This government is committed to increasing cycling and walking and making our roads safer for vulnerable users”. In a contest to choose the best cycle route into town along Friar Gate run by a government committed to making roads safer for vulnerable users, the on-road cycle lane would win hands down. Why? Because removing it makes the road more dangerous for the most vulnerable on-road users – cyclists. Derby City Council have submitted their outline business case for their clean air strategy to the Dept for Environment, Food and Rural Affairs (DEFRA) – and it still includes the removal of cycle lanes on Friar Gate as part of the plan. DEFRA are reviewing the outline business case right now. Can you please help to put pressure on DEFRA to accept our arguments by writing to Michael Gove, Therese Coffey, two other influential government ministers and Derby’s MPs. It is best if you can write a letter or e-mail in your own words, however you can use the template below as a guide. If you use the template, add your own words at the beginning to say why you want the cycle facilities on Friar Gate to be retained. Remember that if this space is lost for cycling, it will be lost for ever. Please do all you can to help keep it. Right turn protected space in forground; safe haven approach to cycle/bus lane in right hand lane. I urge you to reject Derby City Council’s proposal to remove important cycle-safety infrastructure on Friar Gate as part of the city’s Clean Air Proposal because …. The removal of a cycle lane on Friar Gate to create two motor vehicle lanes as part of Derby’s clean air proposal is totally unacceptable. The cycle lane is present because it provides a safe haven for cyclists to access a bike-and-buses-only section of street; if it is removed cyclists will have to ride into a faster lane of traffic to gain access to it, at greater personal risk. The removal of protected space will make it more dangerous for cyclists wishing to turn right into Vernon St.
Cycling is a very clean form of transport and must not be penalised by a project which purports to improve air quality. Fewer people will cycle on Friar Gate if the cycle lane is removed, which is an unbelievably bad ambition for a clean air strategy. It is perverse to make cycling less easy and more dangerous as part of a project which has the objective of making air cleaner. It is also perverse to make it easier for more motor vehicles to use Friar Gate as part of a project to make air cleaner; emissions are bound to rise which is another poor deliverable from this ill-conceived clean air proposal. The plan to remove cycle infrastructure runs against much government and local policy (the governments Cycling and Walking Investment Strategy, the DfT’s Cycle Proofing working group; Derby’s fledgling Local Cycling and Walking Infrastructure Plan, City Council-run Cycle Derby’s local initiatives to promote cycle transport, especially to children). The cycling facilities on Friar Gate and the roads leading to it must be improved so that more people can use them, which would really help to reduce emissions. MORE cycling and walking should be a cornerstone of Derby’s clean air strategy and it must certainly NOT make cycling or walking worse or more dangerous. An inconvenient, discontinuous and devious route – we already have a convenient, safe, direct, and complete route which needs to be retained or further enhanced. This will increase the severance of the communities on either side of what will now be four lanes of motorised traffic. There are strong objections to this proposal from local residents as well as professionals inside and outside the council. This proposal would not pass a fair safety audit. DCG have written an open letter to Michael Gove and a number of his government colleagues asking that they reject the part of Derby City Council’s clean air outline business case, which plans to remove cycle lanes from Friar Gate. At Derby Cycling Group we have argued for many years that banning responsible cycling in the city centre suppresses the number of everyday journeys made by bike in Derby, because the north/south route through the city centre is the most direct one to get many people from where they live to where they work, and no suitable alternative routes were available. We are therefore really pleased to confirm the new arrangements for cycle access on St Peter’s Street and Cornmarket, even though they are only in “off-peak” times. This new access means that between 5pm and 10am there is a complete route from The Spot, along St Peters Street, Cornmarket, Irongate and Queen Street, for access to and travel through the city centre. St Peters Street Cornmarket General access 5pm to 10am everyday. Motor vehicles have access for loading only. Market Place Tenant Street Irongate Amen Alley General access 24 hrs a day, 7 days a week. Motor vehicle access is more restricted. East Street Exchange Street St Peters Churchyard Sadler Gate No access for cyclists or motor vehicles on these one way streets, at any time, except for loading between 5pm to 10am. No access for cyclists or motor vehicles in either direction, except for loading between 5pm to 10am. The changes to access rules on St Peters Street and Cornmarket are covered by a Traffic Regulation Order (TRO) which is a statutory document and therefore cyclists have a legal right to use these streets between the stated times. The new TRO gives cyclists access at the same times that HGVs, vans and cars have always had for loading, so there should be nothing controversial about that. If cyclists shouldn’t be here at those times, HGVs certainly should not. The slabs with the shared use logos, inserted into the paving on St Peters Street, caused confusion and concern when they were removed because no reason was given. It turns out that they were not to specification, and slippery in the wet. Somebody had slipped over on one. We have been told that replacement, non-slip, versions will be provided by the supplier at their cost and will be re-inserted into the street when they arrive. Whatever the ins and outs of the limitation of access to “off-peak hours”, or the clarity of the signage, the bottom line is that cyclists now have access to these streets; it removes a crazy anomaly that the vehicles posing most risk of any sort were allowed in, whilst those vehicles posing less risk were barred. Derby Cycling Group celebrates that and welcomes the opportunities for more urban cycle journeys that this provides. Our biggest desire is that everyone who uses these streets does so responsibly and safely and with respect to everyone else. We endorse the principle of the hierarchy of responsibility where those using a heavier, faster vehicle is most responsible for the safety of those using lighter and slower vehicles. However, everyone has responsibilities to use the space considerately and courteously. We hope that the new access regime will be enhanced in the future; whether that happens is in many ways in the hands of the cyclists who use these streets. Here is some guidance on our interpretation of the signage in use in Derby City Centre regarding the use of streets for cycling. We hope it is useful and informative. It is not a definitive legal definition, but is intended to help people understand the principles of the access which each sign is intended to convey. Only the rules as they apply to cycling are described. Cycling allowed between 5pm and 10am only. A bicycle is a vehicle, therefore the “no vehicles” sign prohibits bicycles except at the times shown. 2. Cycling allowed 24hrs a day, 7 days a week. The sign excludes motor vehicles, and because a bicycle is not a motor vehicle it is allowed to be ridden on this street. E-bikes are not classed as motor vehicles, so these can be ridden where motor vehicles are prohibited. 3. Cycling allowed between 5pm and 10 am everyday. Here, at the bottom of Irongate, motor vehicles cannot access Cornmarket, so the “exception” sign is slightly different to some other places. 4. Cycling not allowed at any time, except for loading and unloading between 5pm and 10am. A bicycle is a vehicle and is therefore prohibited from this street unless delivering or picking up items to an address on the street, or an address accessed from it, between the times shown. In Derby many of these streets are one-way, and there is no cycle exception to this. This is a one-way street, and no vehicles (which includes bicycles) can enter. Bicycles may be able to come in the other direction, that depends on the signage at the entry point to the one-way street. Exchange Street off Albert Street; St Peter’s Churchyard from Green Lane direction; Sadler Gate off Bold Lane/Strand. At the city council planning committee meeting on 15th February, the planning application to build a 3m wide multi-user path alongside the river in Darley Park was passed. It is believed the majority was 9 to 3 in favour of the path. That is great news for active travel in Derby and thanks to the great work by the council team who have developed a good plan, and to the 70% of planning application respondents (well over 80 in number) who supported the planning application and wrote to the planning committee to say so. Thank you if you were one of those people, you have made a real difference here with positive and well reasoned arguments. Apart from the dire need for a path to assist those with mobility issues, certain disabilities, families with small children, buggies and so on, this will be a really important link in Derby’s cycle network. It adds to the overall permeability of this part of North Derby for cycle transport, and will create an obvious route for the start of the Derwent Valley Cycleway as that is developed in the future. Travelling from the Silk Mill, the obvious route is through Darley Abbey, to view Darley Abbey Mills from the prime vantage point over the river with it’s picturesque weirs. Having visited the mills and maybe bought something at one of the businesses there, you would then continue in the same direction further along the Derwent Valley World Heritage Site. A major point that Derby Cycling Group made in mitigation of the objections to a path shared by pedestrians and cyclists is that there already exists such a path all along the river from Elvaston to Darley Park. This sharing of the path is nothing new, it is just an extension to a path which is already safely shared everyday by hundreds and hundreds of people on foot and on bikes. A new cycle route and pedestrian improvements are planned by Derby City Council between Mercian Way and Curzon Street. They will make this area much more accommodating for cycling and walking. There is one big change that DCG have asked the designers to make but we urge you to use the link below to support the plan but also to propose this amendment before 1st December. The scheme is part of a strategic route which will eventually link the city centre and Royal Derby Hospital, enabling more of the 10,000 people who work there to cycle to work, so it is a really important piece of cycle route and you must support it if you would like to see cycle transport move on in Derby. At DCG we like the plan, but we have asked that the part between Mercian Way and Abbey Street be made into a two-way segregated cycle path, with the part along Abbey Street to Curzon Street being a one-way, segregated cycle path. We have asked that the end of Monk Street be made into a pedestrian and cyclist priority crossing, utilising the recently approved Parallel Crossing (like a Zebra with a cycle crossing next to it with the same rules on priority as a zebra – commonplace in Europe but only recently approved for use in the UK). It gives pedestrians and cyclists their own space, which is needed because cyclists will be travelling through this area; it is not a major destination in its self. Cycle infrastructure today needs to move beyond shared pavements; cycling needs to be designed-in as a primary form of transport, not an after thought.